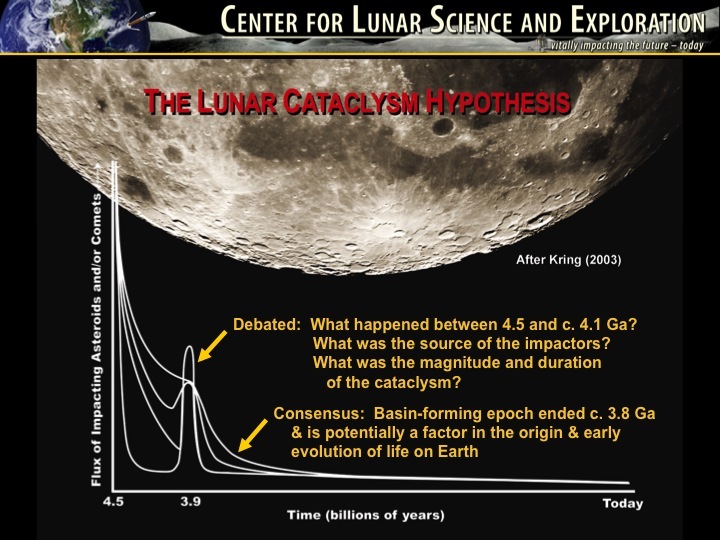 NASA Lunar Science Institute’s LPI-JSC team made a fascinating discovery related to the lunar impact cataclysm hypothesis and the delivery of material to the Earth-Moon system just before the earliest evidence of life on Earth. In the new report, the LPI-JSC team analyzed Apollo-era samples using field emission scanning electron microscope techniques to chemically map the samples, and electron microprobe analyses to identify mineral fragments that are texturally or chemically distinct from lunar material. They detected actual remnants of ancient projectiles and have shown, without any ambiguity, that the material hitting the Moon (and, thus, the Earth) was chondritic in nature, from asteroids, and dominated by material not currently being delivered to the Earth as meteorites. 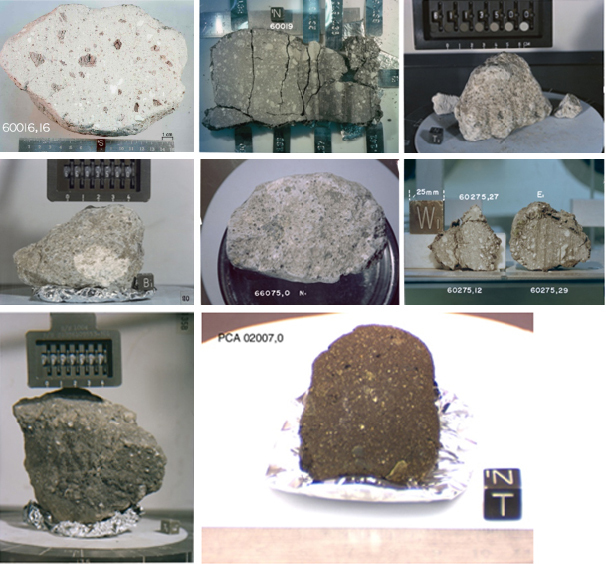 NASA curation laboratory photos of the Apollo 16 regolith breccias and lunar meteorites that contain projectile debris. The fragments have igneous textures similar to those in chondrules of primitive chondrites. Image credit: NASA. The team used new analytical techniques to chemically and mineralogically map large volumes of Apollo regolith breccias to detect these never-before seen relics. Their paper presents results for five ancient regolith breccias to provide a view of the projectiles at the end of the basin-forming epoch, while also presenting analyses of several younger breccias to illustrate some of the changes that occurred over the next 4 billion years. Their discovery opens a new window into the earliest bombardment history of the solar system and offers a technique that is likely to be reused by other scientists as a re-invigorated examination of Apollo and lunar meteorite breccias is launched. The study also addresses the highest science priority outlined by the National Research Council (2007) for future exploration of the Moon. The lunar surface, a key proxy for the early Earth, contains relics of the asteroids and comets that have pummeled terrestrial planetary surfaces. Surviving fragments of projectiles in the lunar regolith provide a direct measure of the types and, thus, sources of exogenous material delivered to the Earth-Moon system. In ancient [>3.4 billion years ago (Ga)] regolith breccias from the Apollo 16 landing site the team located mineral and lithologic relics of magnesian chondrules from chondritic impactors. These ancient impactor fragments are not nearly as diverse as those found in younger (3.4 Ga to today) regolith breccias and soils from the Moon, or that presently fall as meteorites to Earth. This suggests that primitive chondritic asteroids, originating from a similar source region, were common Earth-Moon-crossing impactors during the latter stages of the basin forming epoch. These results are published in a paper titled ” Direct Detection of Projectile Relics from the End of the Lunar Basin-forming Epoch” that was released today by Science Express. 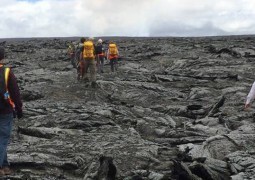 The list of authors is: Katherine H. Joy (LPI-JSC Center for Lunar Science and Exploration), Michael E. Zolensky (NASA Johnson Space Center), Kazuhide Nagashima (University of Hawai‘i at Manoa), Gary R. Huss (University of Hawai‘i at Manoa), D. Kent Ross (ESCG-Jacob’s Technology at the NASA Johnson Space Center), David S. McKay (NASA Johnson Space Center), and David A. Kring (PI of the LPI-JSC Center for Lunar Science and Exploration). Part of an interdisciplinary program designed to prepare for future exploration of the moon, near-Earth asteroids and the moons of Mars.